It’s time to start embarking on the daunting task of Christmas shopping! And today I will help you out with a question that might be on your mind, as it has been on mine lately: which video game system should I get for my kids? If your kids are around my kids’ ages you might wonder if getting them video games is something you should do. Well I’m not a pediatrician who is going to tell you no TV or video games until your child is 25, I’m just a mom who is doing what every other mom is trying to do with little kids–survive. And sometimes video games help that cause. So let’s just set the judging and guilt aside and get to the LeapBand and LeapTV review. I am not here to compare the new LeapTV to any other gaming system, but I will lay out just how awesome I think this gaming system is. It is bar none, the best gaming system for children ages 3-7. Other gaming systems can be too hard for this age and don’t offer much educational benefits. But LeapTV overcomes both of those by making the games simple yet geared to your child’s educational level and the controls are easy for even my 3 year old to use. I went to Leapfrog headquarters earlier this year and was totally impressed by their company. They are so passionate about their goals of making learning fun for kids and they have learning experts they consult when creating each game. Each game is specifically geared towards your child’s level of knowledge and it tapers it to either easier or harder based on the answers your child gives to the educational questions. We got several other games to try, including Sophia the 1st, which my 3-year-old daughter loves and is definitely geared towards the younger crowd. And then there’s sports which my husband loves–you can play the controller like the sport, swinging it like a bat or ‘rolling’ it like a bowling ball. My kids adore the Kart racing of course, and the Spiderman game is also popular. My 4 year old likes playing “Dance ‘n’ Learn” where he stands in front of the TV and the camera registers his presence while he ‘touches’ the objects on screen and also gets a workout while jumping up and down and all around. 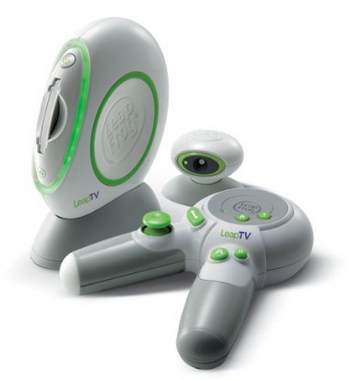 This LeapTV will give us hours of entertainment for the entire cold winter. What is so great is that my kids are learning at the same time. And many of the games and activities are active, using a video camera, so my kids are moving around, dancing and having a blast. 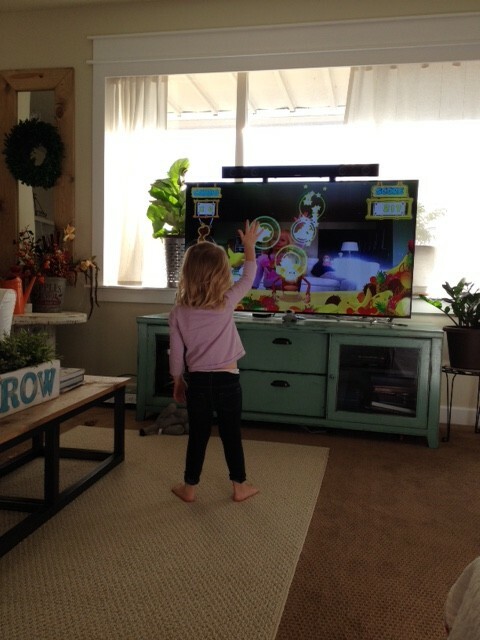 I think the LeapTV is my favorite Leapfrog product yet! And priced at only $150, it is a great alternative to other gaming systems. 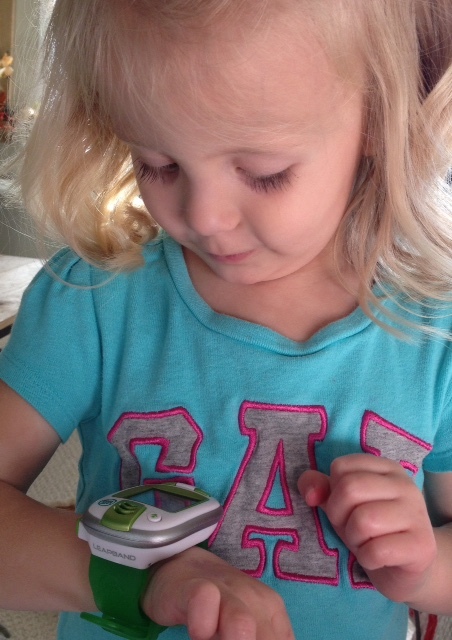 The LeapBand is a small watch-type toy that the kids can wear and take anywhere. It is very easy to use and reminds me of those old Tamagotchi toys that were big when I was a kid–a digital pet that is small and portable. However the LeapBand has way better graphics and way more things to do with the pet. First there are four simple buttons your child can push. You will start with a pet, which you can customize in a variety of ways, with many choices to choose from. Then you can feed, groom, and play with your pet. And then there are separate physical challenges (jumping, crawling, etc) that your child has to do to earn jewels which helps to unlock new pets. This is a great little toy for the price. And I think right now it’s on sale for only $29.99. My kids tended to get disinterested faster but I think they are a little spoiled with Leapfrog toys to test out. They prefer their Leappad Ultras and LeapTV. But if your child doesn’t have those things, I’m sure they will be head over heels for the LeapBand. It’s a great toy for this price point. Want to get more ideas for your child? Check my post 10 Awesome Toys for Kids! 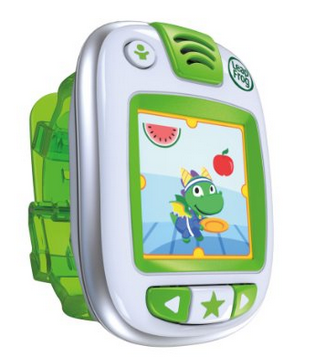 I review products for Leapfrog and have received items free of charge. All opinions are my own.